Arco dell’Elefante, The Elephant’s Arch, Pantelleria, June 2016. 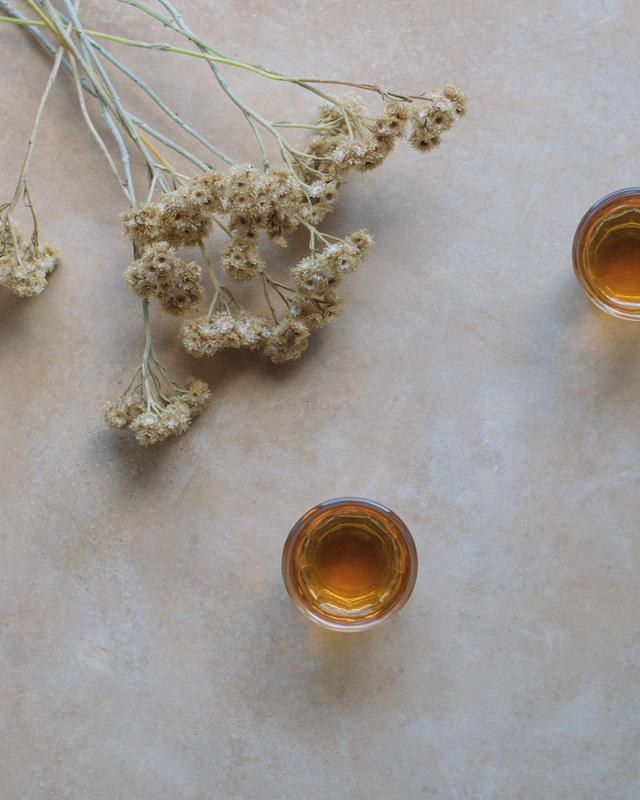 The island is famous for its dessert wines made of the local grape Zibibbo. Looking up the hills of Pantelleria from an extinct crater that now occupies a lake with thermal waters. The small island of Pantelleria lies in the Mediterranean 100 km southwest of Sicily and 60 km east of the Tunisian coast. Pantelleria belongs to Sicily and is truly Italian, yet North African influences are apparent in architecture, art, homeware items and food. The easiest way to get to Pantelleria is to fly, from Trapani or Palermo in Sicily. You can also take a boat but the flights are more reliable because of the weather conditions. We had booked boat tickets from Trapani to Pantelleria only to learn a few hours before scheduled departure that it was too windy for the boat to leave. No worries, though, we found a flight for the same day, and arrived in Pantelleria no later than we had planned. 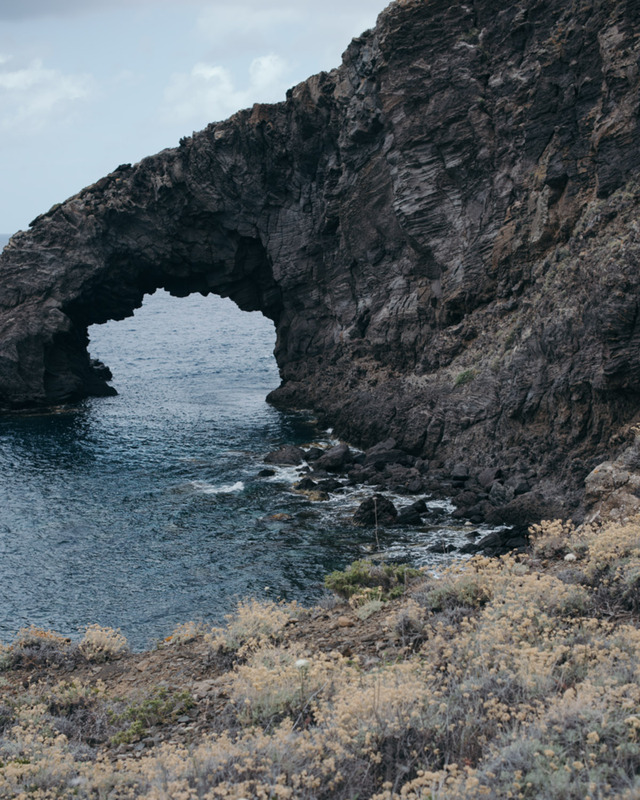 Compared to the most popular island destinations in Italy – Sardinia, Sicily, Capri, even Ponza – Pantelleria feels delightfully serene and wild. There are no fine-dining restaurants, no designer shops, and no beaches with umbrellas and sun loungers, let alone people serving you snacks and cold drinks as you bathe in the sun. There are no taxis to take you around either. To explore the island is to be independent. If you come without a car, it is recommended to rent one. It will probably be a Fiat Panda, like to the cute blue one we got. Even though I know nothing about cars, I have learned that Panda is the car for steep hills and narrow, uncovered roads. That is why it is favored by local farmers across the country. 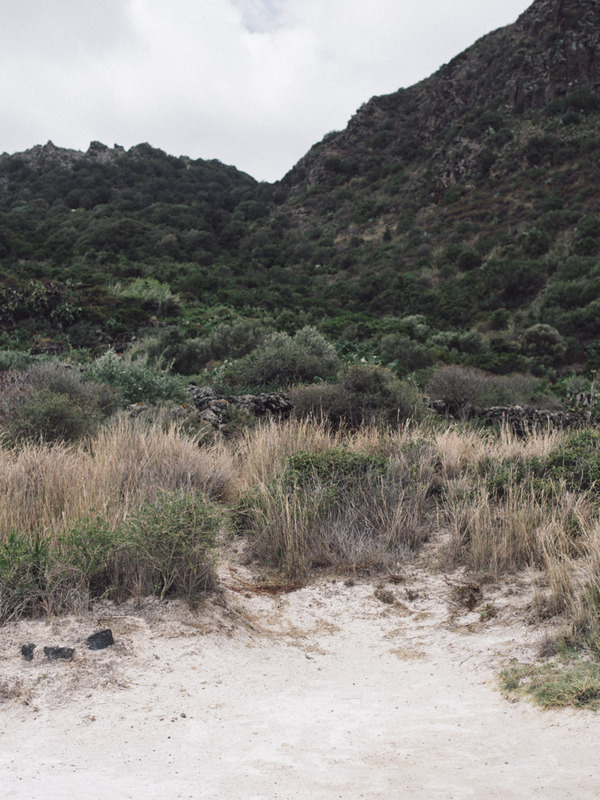 The untamed nature was what made Pantelleria most magical to me. Being close to the elements, noticing how they affect everything. The terrain is rugged and dry. Because of the wind, trees do not grow high but are often cut low, close to the ground to be protected. Pantelleria also has a soft side, and the wind is not harsh all the time. For most of our stay there was just this gentle breeze. Not too many holiday destinations are so tranquil, that the gentle breeze not only feels heavenly against your skin, but it is also the most dominant sound.